A member of C&C Surf Factory, Jadea Kelley and touring drummer with Lindi Ortega. 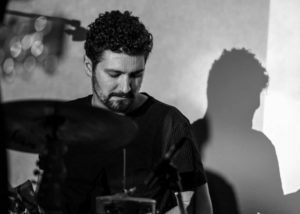 Sly Juhas is one of the most in demand and versatile drummers in Canada. He has performed, recorded and toured throughout the world with many of Canada’s top artisits, such as, Holly Cole, Justin Rutledge, Danny Michel and Brandi Disterheft. Currently, Sly is a member of C&C Surf Factory, Jadea Kelley and touring drummer with Lindi Ortega. In the fall, Sly will be splitting his time between Berlin and Toronto.